A near-Earth object (NEO) is any small Solar System body whose orbit brings it to proximity with Earth. By convention, a Solar System body is a NEO if its closest approach to the Sun (perihelion) is less than 1.3 astronomical units (AU). If a NEO's orbit crosses the Earth's and the object is larger than 140 meters (460 ft) across, it is considered a potentially hazardous object (PHO). Most known PHOs and NEOs are asteroids, but a small fraction are comets. There are over 19,000 known near-Earth asteroids (NEAs), over a hundred short-period near-Earth comets (NECs), and a number of solar-orbiting spacecraft and meteoroids large enough to be tracked in space before striking the Earth. It is now widely accepted that collisions in the past have had a significant role in shaping the geological and biological history of the Earth. NEOs have become of increased interest since the 1980s because of greater awareness of the potential danger some of the asteroids or comets pose. When impacting the Earth, asteroids as small as 20 m cause sufficiently strong shock waves and heat to damage the local environment and populations. Larger asteroids penetrate the atmosphere to the surface of the Earth, producing craters if they hit ground and tsunamis if water bodies are hit. It is in principle possible to deflect asteroids, and methods of mitigation are being researched. Based on the orbit calculations of identified NEOs, their risk of future impact is assessed on two scales, the Torino scale and the more complex Palermo scale, both of which rate a risk of any significance with values above 0. Some NEOs have had temporarily positive Torino or Palermo scale ratings after their discovery, but as of March 2018[update], more precise calculations based on subsequent observations led to a reduction of the rating to or below 0 in all cases. Since 1998, the United States, the European Union, and other nations are scanning for NEOs in an effort called Spaceguard. The initial US Congress mandate to NASA of cataloging at least 90% of NEOs that are at least 1 kilometre (0.62 mi) in diameter, which would cause a global catastrophe in case of an impact with Earth, had been met by 2011. In later years, the survey effort has been expanded to objects as small as about 140 m (460 ft) across, which still have the potential for large-scale, though not global, damage. NEOs have low surface gravity, and many have Earth-like orbits making them easy targets for spacecraft. As of January 2019[update], five near-Earth comets and five near-Earth asteroids have been visited by spacecraft. Two near-Earth asteroids are being orbited by spacecraft that will return asteroid samples back to Earth. Plans for commercial asteroid mining have been drafted by private companies. The major technical astronomical definition for Near-Earth objects (NEOs) are small Solar System bodies with orbits around the Sun that by definition lie partly between 0.983 (perihelion) and 1.3 (aphelion) astronomical units (AU; Sun–Earth distance) away from the Sun. Thus, NEOs are not necessarily currently near the Earth, but they can potentially approach the Earth relatively closely. However, the term is also used more flexibly sometimes, for example for objects in orbit around the Earth or for quasi-satellites, which have a more complex orbital relationship with the Earth. When a NEO is detected, like all other small Solar System bodies, it is submitted to the International Astronomical Union's (IAU's) Minor Planet Center (MPC) for cataloging. MPC maintains separate lists of confirmed NEOs and potential NEOs. The orbits of some NEOs intersect that of the Earth, so they pose a collision danger. These are considered potentially hazardous objects (PHOs). For the asteroids among PHOs, the potentially hazardous asteroids (PHAs), MPC maintains a separate list. NEOs are also catalogued by two separate units of the Jet Propulsion Laboratory (JPL) of the National Aeronautics and Space Administration (NASA): the Center for Near Earth Object Studies (CNEOS) and the Solar System Dynamics Group. PHAs are currently defined based on parameters relating to their potential to approach the Earth dangerously closely. Mostly objects with an Earth minimum orbit intersection distance (MOID) of 0.05 AU or less and an absolute magnitude of 22.0 or brighter (a rough indicator of large size) are considered PHAs. Objects that cannot approach closer to the Earth (i.e. MOID) than 0.05 AU (7,500,000 km; 4,600,000 mi), or are smaller than about 140 m (460 ft) in diameter (i.e. H = 22.0 with assumed albedo of 14%), are not considered PHAs. 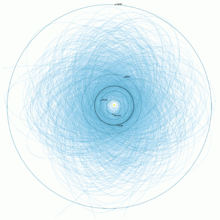 NASA's catalog of near-Earth objects also includes the approach distances of asteroids and comets (expressed in lunar distances). The first near-Earth objects to be observed by humans were comets. Their extraterrestrial nature was recognised and confirmed only after Tycho Brahe tried to measure the distance of a comet through its parallax in 1577; and the periodicity of some comets was recognised in 1705, when Edmond Halley first published his orbit calculations for the returning object now known as Halley's Comet. The 1758–1759 return of Halley's Comet was the first comet appearance predicted in advance. The first near-Earth asteroid to be discovered was 433 Eros in 1898. The asteroid was subject to several observation campaigns, because measurements of its orbit enabled a precise determination of the distance of the Earth from the Sun. In has been said that Lexell's comet of 1770 was the first discovered Near-Earth object. In 1937, asteroid 69230 Hermes was discovered when it passed the Earth at twice the distance of the Moon. Hermes was considered a threat because it was lost after its discovery; thus its orbit and potential for collision with Earth were not known precisely. Hermes was re-discovered in 2003, and is now known to be no threat for at least the next century. On June 14, 1968, the 1.4 km diameter asteroid 1566 Icarus passed Earth at a distance of 0.042482 AU (6,355,200 km), or 16 times the distance of the Moon. During this approach, Icarus became the first minor planet to be observed using radar, with measurements obtained at the Haystack Observatory and the Goldstone Tracking Station. This was the first close approach predicted years in advance (Icarus had been discovered in 1949), and also earned significant public attention, due to alarmist news reports. A year before the approach, MIT students launched Project Icarus, devising a plan to deflect the asteroid with rockets in case it was found to be on a collision course with Earth. Project Icarus received wide media coverage, and inspired the 1979 disaster movie Meteor, in which the US and the USSR join forces to blow up an Earth-bound fragment of an asteroid hit by a comet. On March 23, 1989, the 300 m (980 ft) diameter Apollo asteroid 4581 Asclepius (1989 FC) missed the Earth by 700,000 km (430,000 mi). If the asteroid had impacted it would have created the largest explosion in recorded history, equivalent to 20,000 megatons of TNT. It attracted widespread attention because it was discovered only after the closest approach. In March 1998, early orbit calculations for recently discovered asteroid (35396) 1997 XF11 showed a potential 2028 close approach 0.00031 AU (46,000 km) from the Earth, well within the orbit of the Moon, but with a large error margin allowing for a direct hit. Further data allowed a revision of the 2028 approach distance to 0.0064 AU (960,000 km), with no chance of collision. By that time, inaccurate reports of a potential impact had caused a media storm. From the late 1990s, a typical frame of reference in searches for NEOs has been the scientific concept of risk. The risk that any near-Earth object poses is viewed having regard to both the culture and the technology of human society. Through history, humans have associated NEOs with changing risks, based on religious, philosophical or scientific views, as well as humanity's technological or economical capability to deal with such risks. Thus, NEOs have been seen as omens of natural disasters or wars; harmless spectacles in an unchanging universe; the source of era-changing cataclysms or potentially poisonous fumes (during Earth's passage through the tail of Halley's Comet in 1910); and finally as a possible cause of a crater-forming impact that could even cause extinction of humans and other life on Earth. The potential of catastrophic impacts by near-Earth comets was recognised as soon as the first orbit calculations provided an understanding of their orbits: in 1694, Edmond Halley presented a theory that Noah's flood in the Bible was caused by a comet impact. Human perception of near-Earth asteroids as benign objects of fascination or killer objects with high risk to human society has ebbed and flowed during the short time that NEAs have been scientifically observed. Scientists have recognised the threat of impacts that create craters much bigger than the impacting bodies and have indirect effects on an even wider area since the 1980s, after the confirmation of a theory that the Cretaceous–Paleogene extinction event (in which dinosaurs died out) 65 million years ago was caused by a large asteroid impact. The awareness of the wider public of the impact risk rose after the observation of the impact of the fragments of Comet Shoemaker–Levy 9 into Jupiter in July 1994. In 1998, the movies Deep Impact and Armageddon popularised the notion that near-Earth objects could cause catastrophic impacts. Also at that time, a conspiracy theory arose about the supposed 2003 impact of the fictitious planet Nibiru, which persisted on the internet as the predicted impact date was moved to 2012 and then 2017.
the more complex Palermo Technical Impact Hazard Scale, which ascribes ratings that can be any positive or negative real number; these ratings depend on the background impact frequency, impact probability and time until possible impact. On both scales, risks of any concern are indicated by values above zero. For instance, this formula implies that the expected value of the time from now until the next impact greater than 1 megatonne is 33 years, and that when it occurs, there is a 50% chance that it will be above 2.4 megatonnes. This formula is only valid over a certain range of E.
This formula gives considerably lower rates for a given E. For instance, it gives the rate for bolides of 10 megatonnes or more (like the Tunguska explosion) as 1 per thousand years, rather than 1 per 210 years as in the Palermo formula. However, the authors give a rather large uncertainty (once in 400 to 1800 years for 10 megatonnes), due in part to uncertainties in determining the energies of the atmospheric impacts that they used in their determination. NASA maintains an automated system to evaluate the threat from known NEOs over the next 100 years, which generates the continuously updated Sentry Risk Table. All or nearly all of the objects are highly likely to drop off the list eventually as more observations come in, reducing the uncertainties and enabling more accurate orbital predictions. In March 2002, (163132) 2002 CU11 became the first asteroid with a positive rating on the Torino Scale, with about a 1 in 9,300 chance of an impact in 2049. Additional observations reduced the estimated risk to zero, and the asteroid was removed from the Sentry Risk Table in April 2002. It is now known that in the next two centuries, 2002 CU11 will pass the Earth at a safe closest distance (perigee) of 0.00425 AU (636,000 km; 395,000 mi) on August 31, 2080. Asteroid 1950 DA was lost after its 1950 discovery, since its observations over just 17 days were insufficient to determine its orbit; it was rediscovered on December 31, 2000. It has a diameter of about a kilometer (0.6 miles). It was also observed by radar during its close approach in 2001, allowing much more precise orbit calculations. Although this asteroid will not strike for at least 800 years and thus has no Torino scale rating, it was added to the Sentry list in April 2002 because it was the first object with a Palermo scale value greater than zero. The then-calculated 1 in 300 maximum chance of impact and +0.17 Palermo scale value was roughly 50% greater than the background risk of impact by all similarly large objects until 2880. Uncertainties in the orbit calculations were further reduced using radar observations in 2012, and this decreased the odds of an impact. Taking all radar and optical observations until 2015 into account, the probability of impact is, as of March 2018[update], assessed at 1 in 8,300. The corresponding Palermo scale value of −1.42 is still the highest for all objects on the Sentry List Table. As of March 2018[update], only one more object (2009 FD) has a Palermo scale value above −2 for a single impact date. On December 24, 2004, 370 m (1,210 ft) asteroid 99942 Apophis (at the time known by its provisional designation 2004 MN4) was assigned a 4 on the Torino scale, the highest rating ever given, as there was a 2.7% chance of Earth impact on April 13, 2029. By December 28, 2004, additional observations had produced a smaller uncertainty zone which no longer included the Earth during the 2029 approach. The 2029 risk of impact consequently dropped to zero, but later potential impact solutions were still rated 1 on the Torino scale. 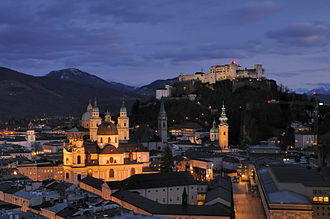 The 2036 risk was lowered to a Torino rating of 0 in August 2006. As of March 2018[update], calculations show Apophis has no chance of impacting Earth before 2060. In February 2006, (144898) 2004 VD17 has been assigned a Torino Scale rating of 2 due to a close encounter predicted for May 4, 2102. After more precise calculations, the rating was lowered to 1 in May 2006 and 0 in October 2006, and the asteroid was removed from the Sentry Risk Table entirely in February 2008. As of March 2018[update], 2010 RF12 is listed with the highest chance of impacting Earth, at 1 in 20 on September 5, 2095. At only 7 m (23 ft) across, the asteroid however does not pose a serious threat: the possible 2095 impact therefore rates only −3.32 on the Palermo Scale. Observations during the August 2022 close approach are expected to ascertain whether the asteroid will impact Earth in 2095. The first astronomical program dedicated to the discovery of near-Earth asteroids was the Palomar Planet-Crossing Asteroid Survey, started in 1973 by astronomers Eugene Shoemaker and Eleanor Helin. The link to impact hazard, the need for dedicated survey telescopes and options to head off an eventual impact were first discussed at a 1981 interdisciplinary conference in Snowmass, Colorado. Plans for a more comprehensive survey, named the Spaceguard Survey, were developed by NASA from 1992, under a mandate from the United States Congress. To promote the survey on an international level, the International Astronomical Union (IAU) organised a workshop at Vulcano, Italy in 1995, and set up the Spaceguard Foundation also in Italy a year later. In 1998, the United States Congress gave NASA a mandate to detect of 90% of near-earth asteroids over 1 km (0.62 mi) diameter (that threaten global devastation) by 2008. Several surveys have undertaken "Spaceguard" activities (an umbrella term), including Lincoln Near-Earth Asteroid Research (LINEAR), Spacewatch, Near-Earth Asteroid Tracking (NEAT), Lowell Observatory Near-Earth-Object Search (LONEOS), Catalina Sky Survey (CSS), Campo Imperatore Near-Earth Object Survey (CINEOS), Japanese Spaceguard Association, Asiago-DLR Asteroid Survey (ADAS) and Near-Earth Object WISE (NEOWISE). As a result, the ratio of the known and the estimated total number of near-Earth asteroids larger than 1 km in diameter rose from about 20% in 1998 to 65% in 2004, 80% in 2006, and 93% in 2011. The original Spaceguard goal has thus been met, only three years late. As of June 12, 2018[update], 893 NEAs larger than 1 km have been discovered, or 97% of an estimated total of about 920. In 2005, the original USA Spaceguard mandate was extended by the George E. Brown, Jr. Near-Earth Object Survey Act, which calls for NASA to detect 90% of NEOs with diameters of 140 m (460 ft) or greater, by 2020. In January 2016, NASA announced the creation of the Planetary Defense Coordination Office (PDCO) to track NEOs larger than about 30–50 m (98–164 ft) in diameter and coordinate an effective threat response and mitigation effort. Survey programs aim to identify threats years in advance, giving humanity time to prepare a space mission to avert the threat. The ATLAS project, by contrast, aims to find impacting asteroids shortly before impact, much too late for deflection maneuvers but still in time to evacuate and otherwise prepare the affected Earth region. Another project, the Zwicky Transient Facility (ZTF), which surveys for objects that change their brightness rapidly, also detects asteroids passing close to Earth. Scientists involved in NEO research have also considered options for actively averting the threat from an object found to be on a collision course with Earth. All viable methods aim to deflect rather than destroy the threatening NEO, because the fragments would still cause widespread destruction. Deflection, which means a change in the object's orbit months to years prior to the predicted impact, also requires orders of magnitude less energy. Near-Earth objects are classified as meteoroids, asteroids, or comets depending on size and composition. Asteroids can also be members of an asteroid family, and comets create meteoroid streams that can generate meteor showers. As of January 8, 2019[update], according to statistics maintained by CNEOS, 19,470 NEOs have been discovered. Only 107 (0.55%) of them are comets, whilst 19,363 (99.45%) are asteroids. There are 1,955 NEOs that are classified as potentially hazardous asteroids (PHAs). As of January 8, 2019[update], there are 893 NEAs on the Sentry impact risk page at the NASA website. 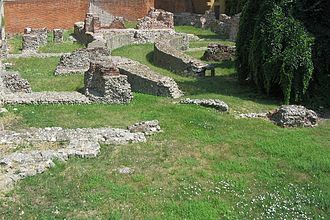 A significant number of these NEAs are equal to or smaller than 50 meters in diameter and none of the listed objects are placed even in the "green zone" (Torino Scale 1), meaning that none warrant the attention of general public. One problem with estimating the number of NEOs is that detections are influenced by a number of factors. Observational biases need to be taken into account when trying to calculate the number of bodies in a population. What is easily detected will be more counted. For example, it has been easier to spot objects on the night-side of Earth. 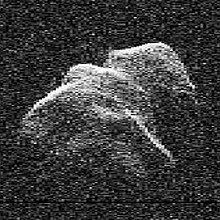 There is less noise from twilight, and the searcher is looking at the sunlit side of the asteroids. In the daytime sky, a searcher looking towards the sun sees the backside of the object (e.g. comparing a Full moon at night to a New Moon in daytime). In addition, opposition surge make them even brighter when the Earth is along the axis of sunlight. Finally, the day sky near the Sun is bright. The light of sun hitting asteroids has been called "full asteroid" similar to a "full moon" and the greater amount of light, creates a bias that they are easier to detect in this case. In the year 2000, it was predicted that there are 900 near earth asteroids of at least kilometer size, taking into account known observational biases. Studies of asteroid populations try to take into account observational selection biases to make a more accurate assessment. Finding observational biases can help determine NEO populations, for example, one study noted that bodies in low-eccentricity Earth-crossing orbits were favored, making the detection of Aten more favored than Apollos. Two of the biggest Near-Earth objects 433 Eros and 1036 Ganymed, were naturally also some the earliest to be detected. 1036 Ganymed is about 20 miles in diameter. As bigger asteroids they reflected more light. One way around this bias is to use thermal infrared telescopes that observe their heat emissions. These are objects in a near-Earth orbit without the tail or coma of a comet. As of January 6, 2019[update], 19,363 near-Earth asteroids are known, only 1,955 of which are PHAs. NEAs survive in their orbits for just a few million years. They are eventually eliminated by planetary perturbations, causing ejection from the Solar System or a collision with the Sun or a planet. With orbital lifetimes short compared to the age of the Solar System, new asteroids must be constantly moved into near-Earth orbits to explain the observed asteroids. The accepted origin of these asteroids is that main-belt asteroids are moved into the inner Solar System through orbital resonances with Jupiter. The interaction with Jupiter through the resonance perturbs the asteroid's orbit and it comes into the inner Solar System. The asteroid belt has gaps, known as Kirkwood gaps, where these resonances occur as the asteroids in these resonances have been moved onto other orbits. New asteroids migrate into these resonances, due to the Yarkovsky effect that provides a continuing supply of near-Earth asteroids. Compared to the entire mass of the asteroid belt, the mass loss necessary to sustain the NEA population is relatively small; totalling less than 6% over the past 3.5 billion years. The composition of near-Earth asteroids is comparable to that of asteroids from the asteroid belt, reflecting a variety of asteroid spectral types. A small number of NEAs are extinct comets that have lost their volatile surface materials, although having a faint or intermittent comet-like tail does not necessarily result in a classification as a near-Earth comet, making the boundaries somewhat fuzzy. The rest of the near-Earth asteroids are driven out of the asteroid belt by gravitational interactions with Jupiter. Many asteroids have natural satellites (minor-planet moons). As of March 15, 2017[update], 66 NEAs were known to have at least one moon, including three known to have two moons. The asteroid 3122 Florence, one of the largest PHAs with a diameter of 4.5 km (2.8 mi), has two moons measuring 100–300 m (330–980 ft) across, which were discovered by radar imaging during the asteroid's 2017 approach to Earth. While a small fraction of these asteroids has accurate direct diameter measurements, from radar observations, from images of the asteroid surface, or from stellar occultations, the size of the vast majority of near Earth asteroids can only be estimated on the basis of their brightness and a representative asteroid albedo or surface reflectivity, which is commonly assumed to be 14%. Such indirect size estimates are uncertain by a factor of 2 for individual asteroids, since asteroid albedos can range at least as low as 0.05 and as high as 0.3. Using this method, an absolute magnitude of 17.75 roughly corresponds to a diameter of 1 km (0.62 mi) and an absolute magnitude of 22.0 corresponds to a diameter of 140 m (460 ft). In May 2016, the precision of asteroid diameter estimates arising from the Wide-field Infrared Survey Explorer and NEOWISE missions was questioned by technologist Nathan Myhrvold, Although the early original criticism did not pass peer review and faced criticism for its methodology itself, a more recent peer-reviewed study was subsequently published. As of January 4, 2019 and mostly using the crude estimate from an absolute magnitude, 897 NEAs listed by CNEOS, including 156 PHAs, measure at least 1 km in diameter, and 8,452 known NEAs are larger than 140 m in diameter. The smallest known near-Earth asteroid is 2008 TS26 with an absolute magnitude of 33.2, corresponding to a diameter of about 1 m (3.3 ft). The largest such object is 1036 Ganymed, with an absolute magnitude of 9.45 and a diameter of about 38 km (24 mi). −90. In 2011, on the basis of NEOWISE observations, the estimated number of one-kilometer NEAs was narrowed to 7002981000000000000♠981±19 (of which 93% had been discovered at the time), while the number of NEAs larger than 140 meters across was estimated at 7004132000000000000♠13,200±1,900. The NEOWISE estimate differed from other estimates in assuming a slightly lower average asteroid albedo, which produces larger estimated diameters for the same asteroid brightness. This resulted in 911 then known asteroids at least 1 km across, as opposed to the 830 then listed by CNEOS. In 2017, using an improved statistical method, two studies reduced the estimated number of NEAs brighter than absolute magnitude 17.75 (approximately over one kilometer in diameter) to 7002921000000000000♠921±20. The estimated number of asteroids brighter than absolute magnitude of 22.0 (approximately over 140 m across) rose to 7004271000000000000♠27,100±2,200, double the WISE estimate, of which about a third are known as of 2018. The number of asteroids brighter than H = 25, which corresponds to about 40 m (130 ft) in diameter, is estimated at about 7005840000000000000♠840,000±23,000—of which about 1.3 percent had been discovered by February 2016; the number of asteroids brighter than H = 30 (larger than 3.5 m (11 ft)) is estimated at about 7002400000000000000♠400±100 million—of which about 0.003 percent had been discovered by February 2016. The Atens have a semi-major axis of less than 1 AU and cross Earth's orbit. Mathematically, a < 1.0 AU and Q > 0.983 AU. 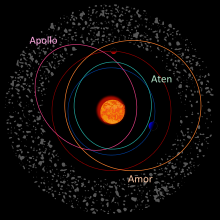 The Amors have orbits strictly outside Earth's orbit: an Amor asteroid's perihelion distance (q) is greater than Earth's aphelion distance (1.017 AU). Amor asteroids are also near-earth objects so q < 1.3 AU. In summary, 1.017 AU < q < 1.3 AU. (This implies that the asteroid's semi-major axis (a) is also larger than 1.017 AU.) Some Amor asteroid orbits cross the orbit of Mars. Atiras and Amors do not cross the Earth's orbit and are not immediate impact threats, but their orbits may change to become Earth-crossing orbits in the future. As of May 10, 2018[update], 17 Atiras, 1,342 Atens, 9,964 Apollos and 6,813 Amors have been discovered and cataloged. Trojans: Near the orbit of a planet, there are five gravitational equilibrium points, the Lagrangian points, in which an asteroid would orbit the Sun in fixed formation with the planet. Two of these, 60 degrees ahead and behind the planet along its orbit (designated L4 and L5 respectively) are stable; that is, an asteroid near these points would stay there for millions of years even if perturbed by other planets and non-gravitational forces. As of March 2018[update], Earth's only confirmed Trojan is 2010 TK7, circling Earth's L4 point. Horseshoe librators: The region of stability around L4 and L5 also includes orbits for co-orbital asteroids that run around both L4 and L5. Seen from Earth, the orbit can resemble the circumference of a horseshoe, or may consist of annual loops that wander back and forth (librate) in a horseshoe-shaped area. In both cases, the Sun is at the horseshoe's center of gravity, Earth is in the gap of the horseshoe, and L4 and L5 are inside the ends of the horseshoe. By 2016, 12 horseshoe librators of Earth have been discovered. The most-studied and, at about 5 km (3.1 mi), largest is 3753 Cruithne, which travels along bean-shaped annual loops and completes its horseshoe libration cycle every 770 to 780 years. (419624) 2010 SO16 is an asteroid on a relatively stable circumference-of-a-horseshoe orbit, with a horseshoe libration period of about 350 years. Quasi-satellites: Quasi-satellites are co-orbital asteroids on a normal elliptic orbit with a higher eccentricity than Earth's, which they travel in a way synchronised with Earth's motion. Since the asteroid orbits the Sun slower than Earth when further away and faster than Earth when closer to the Sun, when observed from Earth, the quasi-satellite appears to orbit Earth in a retrograde direction in one year, even though it is not bound gravitationally. By 2016, five asteroids were known to be a quasi-satellite of Earth. (469219) 2016 HO3 is Earth's closest quasi-satellite, in an orbit that has been stable for almost a century. Orbit calculations until 2016 showed that all quasi-satellites and four of the horseshoe librators then known repeatedly transfer between horseshoe and quasi-satellite orbits. One of these objects, 2003 YN107, was observed during its transition from a quasi-satellite orbit to a horseshoe orbit in 2006; it is expected to transfer back to a quasi-satellite orbit 60 years later. Temporary satellites: NEAs can also transfer between solar orbits and distant Earth orbits, becoming gravitationally bound temporary satellites. According to simulations, temporary satellites are typically caught when they pass the L1 or L2 Lagrangian points, and Earth has at least one temporary satellite 1 m (3.3 ft) across at any given time, but they are too faint to detect by current surveys. As of March 2018[update], the only observed transition was that of asteroid 2006 RH120, which was a temporary satellite from September 2006 to June 2007 and has been on a solar orbit with a 1.003-year period ever since. According to orbital calculations, on its solar orbit, 2006 RH120 passes Earth at low speed every 20 to 21 years, at which point it can become a temporary satellite again. In 1961, the IAU defined meteoroids as a class of solid interplanetary objects distinct from asteroids by their considerably smaller size. This definition was useful at the time because, with the exception of the Tunguska event, all historically observed meteors were produced by objects significantly smaller than the smallest asteroids observable by telescopes. As the distinction began to blur with the discovery of ever smaller asteroids and a greater variety of observed NEO impacts, revised definitions with size limits have been proposed from the 1990s. In April 2017, the IAU adopted a revised definition that generally limits meteoroids to a size between 30 µm and 1 m in diameter, but permits the use of the term for any object of any size that caused a meteor, thus leaving the distinction between asteroid and meteoroid blurred. Near-Earth comets (NECs) are objects in a near-Earth orbit with a tail or coma. Comet nuclei are typically less dense than asteroids but they pass Earth at higher relative speeds, thus the impact energy of comet nucleus is slightly larger than that of a similar-sized asteroid. 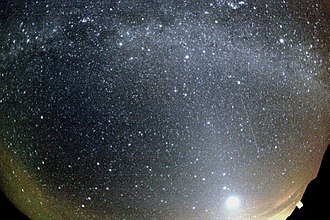 NECs may pose an additional hazard due to fragmentation: the meteoroid streams which produce meteor showers may include large inactive fragments, effectively NEAs. Although no impact of a comet in Earth's history has been conclusively confirmed, the Tunguska event may have been caused by a fragment of Comet Encke. Comets are commonly divided between short-period and long-period comets. Short-period comets, with an orbital period of less than 200 years, originated in the Kuiper belt, beyond the orbit of Neptune; while long-period comets originate in the Oort Cloud, in the outer reaches of the Solar System. The orbital period distinction is of importance in the evaluation of the risk from near-Earth comets because short-period NECs are likely to have been observed during multiple apparitions and thus their orbits can be determined with some precision, while long-period NECs can be assumed to have been seen for the first and last time when they appeared during the Age of Science, thus their approaches cannot be predicted well in advance. Since the threat from long-period NECs is estimated to be at most 1% of the threat from NEAs, and long-period comets are very faint and thus difficult to detect at large distances from the Sun, Spaceguard efforts consistently focused on asteroids and short-period comets. CNEOS even restricts its definition of NECs to short-period comets—as of May 10, 2018[update], 107 such objects have been discovered. As of March 2018[update], only 20 comets have been observed to pass within 0.1 AU (15,000,000 km; 9,300,000 mi) of Earth, including 10 which are or have been short-period comets. Two of these comets, Halley's Comet and 73P/Schwassmann–Wachmann, have been observed during multiple close approaches. The closest observed approach was 0.0151 AU (5.88 LD) for Lexell's Comet on July 1, 1770. After an orbit change due to a close approach of Jupiter in 1779, this object is no longer a NEC. The closest approach ever observed for a current short-period NEC is 0.0229 AU (8.92 LD) for Comet Tempel–Tuttle in 1366. This comet is the parent body of the Leonid meteor shower, which also produced the Great Meteor Storm of 1833. Orbital calculations show that P/1999 J6 (SOHO), a faint sungrazing comet and confirmed short-period NEC observed only during its close approaches to the Sun, passed Earth undetected at a distance of 0.0121 AU (4.70 LD) on June 12, 1999. Comet 109P/Swift–Tuttle, which is also the source of the Perseid meteor shower which hits Earth every year in August, has a roughly 130-year orbit which passes close to the Earth. After the comet's 1992 return, when only the two previous returns in 1862 and 1737 have been identified, orbital calculations showed that the comet would pass very close to Earth during its next return in 2126, with an impact within the range of uncertainty. By 1993, even earlier returns (back to at least 188 AD) have been identified, and the new orbital calculation eliminated the impact risk, predicting the comet to pass Earth in 2126 at a distance of 24 million kilometers. In 3044, the comet is expected to pass Earth at less than 1.6 million kilometers. Defunct space probes and final stages of rockets can end up in near-Earth orbits around the Sun, and be re-discovered by NEO surveys when they return to Earth's vicinity. In September 2002, astronomers found an object designated J002E3. The object was on a temporary satellite orbit around Earth, leaving for a solar orbit in June 2003. 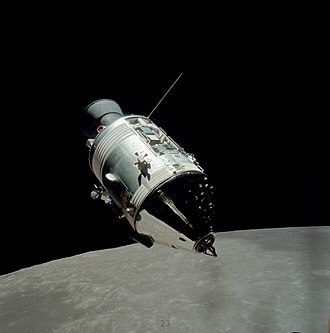 Calculations showed that it was also on a solar orbit before 2002, but was close to Earth in 1971. J002E3 was identified as the third stage of the Saturn V rocket that carried Apollo 12 to the Moon. In 2006, two more apparent temporary satellites were discovered which were suspected of being artificial. One of them was eventually confirmed as an asteroid and classified as the temporary satellite 2006 RH120. The other, 6Q0B44E, was confirmed as an artificial object, but its identity is unknown. Another temporary satellite was discovered in 2013, and was designated 2013 QW1 as a suspected asteroid. It was later found to be an artificial object of unknown origin. 2013 QW1 is no longer listed as an asteroid by the Minor Planet Center. In some cases, active space probes on solar orbits have been observed by NEO surveys and erroneously catalogued as asteroids before identification. During its 2007 flyby of Earth on its route to a comet, ESA's space probe Rosetta was detected unidentified and classified as asteroid 2007 VN84, with an alert issued due to its close approach. The designation 2015 HP116 was similarly removed from asteroid catalogues when the observed object was identified with Gaia, ESA's space observatory for astrometry. When a near-Earth object impacts Earth, objects up to a few tens of metres across ordinarily explode in the upper atmosphere (usually harmlessly), with most or all of the solids vaporized, while larger objects hit the water surface, forming waves, or the solid surface, forming impact craters. The frequency of impacts of objects of various sizes is estimated on the basis of orbit simulations of NEO populations, the frequency of impact craters on the Earth and the Moon, and the frequency of close encounters. The study of impact craters indicates that impact frequency has been more or less steady for the past 3.5 billion years, which requires a steady replenishment of the NEO population from the asteroid main belt. One impact model based on widely accepted NEO population models estimates the average time between the impact of two stony asteroids with a diameter of at least 4 m (13 ft) at about one year; for asteroids 7 m (23 ft) across (which impacts with as much energy as the atomic bomb dropped on Hiroshima, approximately 15 kilotonnes of TNT) at five years, for asteroids 60 m (200 ft) across (an impact energy of 10 megatons, comparable to the Tunguska event in 1908) at 1,300 years, for asteroids 1 km (0.62 mi) across at half a million years, and for asteroids 5 km (3.1 mi) across at 18 million years. Some other models estimate similar impact frequencies, while others calculate higher frequencies. For Tunguska-sized (10-megaton) impacts, the estimates range from one event every 2,000–3,000 years to one event every 300 years. The second-largest observed impact after the Tunguska meteor was a 1.1-megaton air blast near the Prince Edward Islands off the coast of South Africa in 1963, which was detected only by infrasound sensors. The third-largest but most-observed impact was the Chelyabinsk meteor of February 15, 2013. A 20 m (66 ft) asteroid exploded with the equivalent blast yield of 400–500 kilotons. The calculated orbit of the pre-impact asteroid is similar to that of Apollo asteroid 2011 EO40, making the latter the meteor's possible parent body. On October 7, 2008, 19 hours after it has been first observed, 4 m (13 ft) asteroid 2008 TC3 blew up 37 km (23 mi) above the Nubian Desert in Sudan. It was the first time that an asteroid was observed and its impact had been predicted prior to its entry into the atmosphere as a meteor. 10.7 kg of meteorites were recovered after the impact. On January 2, 2014, just 21 hours after it was the first asteroid to be discovered in 2014, 2–4 m 2014 AA blew up in Earth's atmosphere above the Atlantic Ocean. Far from any land, the meteor explosion was only observed by three infrasound detectors of the Comprehensive Nuclear-Test-Ban Treaty Organization. This impact was the second to be predicted in advance. Asteroid impact prediction is however in its infancy and successfully predicted asteroid impacts are rare. The vast majority of impacts recorded by infrasound sensors designed to detect detonation of nuclear devices: are not predicted in advance. Observed impacts aren't restricted to the surface and atmosphere of Earth. Dust-sized NEOs have impacted man-made spacecraft, including NASA's Long Duration Exposure Facility, which collected interplanetary dust in low Earth orbit for six years from 1984. 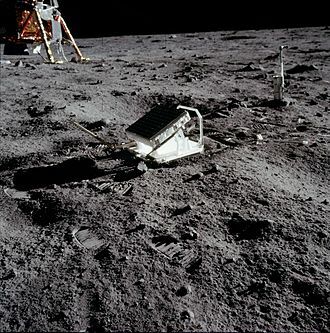 Impacts on the Moon can be observed as flashes of light with a typical duration of a fraction of a second. The first lunar impacts were recorded during the 1999 Leonid storm. Subsequently, several continuous monitoring programs were launched. As of March 2018[update], the largest observed lunar impact occurred on September 11, 2013, lasted 8 seconds, and was likely caused by an object 0.6–1.4 m (2.0–4.6 ft) in diameter. Each year, several mostly small NEOs pass Earth closer than the distance of the Moon. 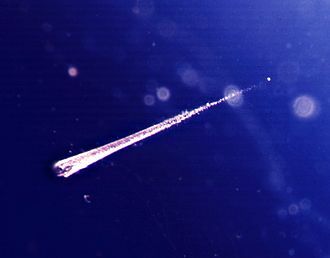 On August 10, 1972, a meteor that became known as the 1972 Great Daylight Fireball was witnessed by many people; it moved north over the Rocky Mountains from the U.S. Southwest to Canada. It was an Earth-grazing meteoroid that passed within 57 km (35 mi) of the Earth's surface, and was filmed by a tourist at the Grand Teton National Park in Wyoming with an 8-millimeter color movie camera. On October 13, 1990, Earth-grazing meteoroid EN131090 was observed above Czechoslovakia and Poland, moving at 41.74 km/s (25.94 mi/s) along a 409 km (254 mi) trajectory from south to north. 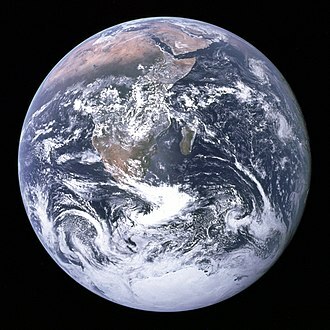 The closest approach to the Earth was 98.67 km (61.31 mi) above the surface. It was captured by two all-sky cameras of the European Fireball Network, which for the first time enabled geometric calculations of the orbit of such a body. On March 18, 2004, LINEAR announced that a 30 m (98 ft) asteroid, 2004 FH, would pass the Earth that day at only 42,600 km (26,500 mi), about one-tenth the distance to the Moon, and the closest miss ever noticed until then. They estimated that similar-sized asteroids come as close about every two years. On March 31, 2004, two weeks after 2004 FH, 2004 FU162 set a new record for closest recorded approach above the atmosphere, passing Earth's surface only 6,500 km (4,000 mi) away (about one Earth radius or one-sixtieth of the distance to the Moon). Because it was very small (6 meters/20 feet), FU162 was detected only hours before its closest approach. If it had collided with Earth, it probably would have disintegrated harmlessly in the atmosphere. On February 4, 2011, an asteroid designated 2011 CQ1, estimated at 0.8–2.6 m (2.6–8.5 ft) in diameter, passed within 5,500 km (3,400 mi) of the Earth, setting a new record for closest approach without impact, which still stands as of September 2018[update]. On November 8, 2011, asteroid (308635) 2005 YU55, relatively large at about 360 m (1,180 ft) in diameter, passed within 324,600 km (201,700 mi) (0.85 lunar distances) of Earth. On February 15, 2013, the 30 m (98 ft) asteroid 367943 Duende (2012 DA14) passed approximately 27,700 km (17,200 mi) above the surface of Earth, closer than satellites in geosynchronous orbit. The asteroid was not visible to the unaided eye. This was the first close passage of an object discovered during a previous passage, and was thus the first to be predicted well in advance. Some NEOs are of special interest because they can be physically explored with lower mission velocity than is necessary for even the Moon, due to their combination of low velocity with respect to Earth and weak gravity. They may present interesting scientific opportunities both for direct geochemical and astronomical investigation, and as potentially economical sources of extraterrestrial materials for human exploitation. This makes them an attractive target for exploration. The IAU held a minor planets workshop in Tucson, Arizona, in March 1971. At that point, launching a spacecraft to asteroids was considered premature; the workshop only inspired the first astronomical survey specifically aiming for NEAs. Missions to asteroids were considered again during a workshop at the University of Chicago held by NASA's Office of Space Science in January 1978. Of all of the near-Earth asteroids (NEA) that had been discovered by mid-1977, it was estimated that spacecraft could rendezvous with and return from only about 1 in 10 using less propulsive energy than is necessary to reach Mars. It was recognised that due to the low surface gravity of all NEAs, moving around on the surface of a NEA would cost very little energy, and thus space probes could gather multiple samples. Overall, it was estimated that about one percent of all NEAs might provide opportunities for human-crewed missions, or no more than about ten NEAs known at the time. 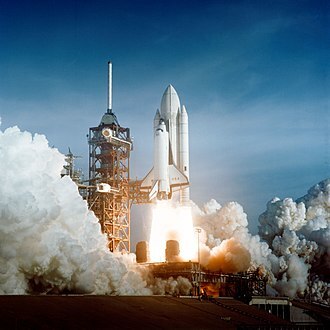 A five-fold increase in the NEA discovery rate was deemed necessary to make a manned mission within ten years worthwhile. The first near-Earth asteroid to be visited by a spacecraft was 17 km (11 mi) asteroid 433 Eros when NASA's Near Earth Asteroid Rendezvous (NEAR) probe orbited it from February 2001, landing on the asteroid surface in February 2002. 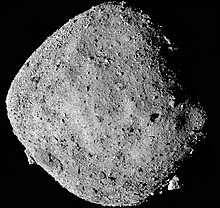 A second near-Earth asteroid, the 535 m (1,755 ft) long peanut-shaped 25143 Itokawa, was visited in September 2005 by JAXA's Hayabusa mission, which succeeded in taking material samples back to Earth. A third near-Earth asteroid, the 2.26 km (1.40 mi) long elongated 4179 Toutatis, was explored by CNSA's Chang'e 2 spacecraft during a flyby in December 2012. The 980 m (3,220 ft) Apollo asteroid 162173 Ryugu is the target of JAXA's Hayabusa 2 mission. The space probe was launched in December 2014, is expected to arrive at the asteroid in June 2018, and to return a sample to Earth in December 2020. The 500 m (1,600 ft) Apollo asteroid 101955 Bennu, which, as of March 2018[update], has the second-highest cumulative Palermo scale rating (−1.71 for several close encounters between 2175 and 2199), is the target of NASA's OSIRIS-REx probe. The New Frontiers program mission was launched in September 2016. On its two-year journey to Bennu, the probe had searched for Earth's Trojan asteroids, rendezvoused with Bennu in August 2018, and had entered into orbit around the asteroid in December 2018. OSIRIS-REx will return samples from the asteroid in September 2023. In April 2012, the company Planetary Resources announced its plans to mine asteroids commercially. In a first phase, the company reviewed data and selected potential targets among NEAs. In a second phase, space probes would be sent to the selected NEAs; mining spacecraft would be sent in a third phase. Planetary Resources launched two testbed satellites in April 2015 and January 2018, and the first prospecting satellite for the second phase is planned for a 2020 launch. The first near-Earth comet visited by a space probe was 21P/Giacobini–Zinner in 1985, when the NASA/ESA probe International Cometary Explorer (ICE) passed through its coma. In March 1986, ICE, along with Soviet probes Vega 1 and Vega 2, ISAS probes Sakigake and Suisei and ESA probe Giotto flew by the nucleus of Halley's Comet. In 1992, Giotto also visited another NEC, 26P/Grigg–Skjellerup. In November 2010, the NASA probe Deep Impact flew by the near-Earth comet 103P/Hartley. Earlier, in July 2005, this probe flew by the non-near-Earth comet Tempel 1, hitting it with a large copper mass. In August 2014, ESA probe Rosetta began orbiting near-Earth comet 67P/Churyumov–Gerasimenko, while its lander Philae landed on its surface in November 2014. After the end of its mission, Rosetta was crashed into the comet's surface in 2016. ^ a b c d e f g h i "Discovery Statistics – Cumulative Totals". NASA/JPL CNEOS. January 6, 2019. Retrieved January 8, 2019. ^ a b c d e f "NEO Basics. NEO Groups". NASA/JPL CNEOS. Retrieved 2017-11-09. ^ a b Clark R. Chapman (May 2004). "The hazard of near-Earth asteroid impacts on earth". Earth and Planetary Science Letters. 222 (1): 1–15. Bibcode:2004E&PSL.222....1C. doi:10.1016/j.epsl.2004.03.004. ^ Richard Monastersky (March 1, 1997). "The Call of Catastrophes". Science News Online. Archived from the original on 2004-03-13. Retrieved 2017-11-09. ^ Rumpf, Clemens M.; Lewis, Hugh G.; Atkinson, Peter M. (2017-04-19). "Asteroid impact effects and their immediate hazards for human populations". Geophysical Research Letters. 44 (8): 3433–3440. arXiv:1703.07592. doi:10.1002/2017gl073191. ISSN 0094-8276. ^ a b c d e f Fernández Carril, Luis (May 14, 2012). "The evolution of near Earth objects risk perception". The Space Review. Archived from the original on 2017-06-29. Retrieved 2017-11-15. ^ a b c d e f g h i j "Sentry Risk Table". NASA/JPL CNEOS. Archived from the original on 2018-03-09. Retrieved 2018-03-09. ^ a b c "NASA on the Prowl for Near-Earth Objects". NASA/JPL. May 26, 2004. Retrieved 2018-03-06. ^ a b c "WISE Revises Numbers of Asteroids Near Earth". NASA/JPL. September 29, 2011. Archived from the original on 2017-12-05. Retrieved 2017-11-09. ^ a b "Public Law 109–155–DEC.30, 2005" (PDF). Archived (PDF) from the original on 2017-12-01. Retrieved 2017-11-09. ^ a b Graham Templeton (January 12, 2016). "NASA is opening a new office for planetary defense". ExtremeTech. Archived from the original on July 6, 2017. Retrieved 2017-11-10. ^ a b Dan Vergano (February 2, 2007). "Near-Earth asteroids could be 'steppingstones to Mars'". USA Today. Archived from the original on 2012-04-17. Retrieved 2017-11-18. ^ a b c d e f Portree, David S. (March 23, 2013). "Earth-Approaching Asteroids as Targets for Exploration (1978)". Wired. Archived from the original on 2014-01-12. Retrieved 2017-11-09. People in the early 21st century have been encouraged to see asteroids as the interplanetary equivalent of sea monsters. We often hear talk of “killer asteroids,” when in fact there exists no conclusive evidence that any asteroid has killed anyone in all of human history. … In the 1970s, asteroids had yet to gain their present fearsome reputation … most astronomers and planetary scientists who made a career of studying asteroids rightfully saw them as sources of fascination, not of worry. ^ a b c d e f Report of the Task Force on potentially hazardous Near Earth Objects (PDF). London: British National Space Centre. September 2000. Retrieved 2018-03-13. ^ a b Beatty, Kelly (4 November 2010). "Mr. Hartley's Amazing Comet". Sky & Telescope. Archived from the original on 2010-11-10. Retrieved 2018-03-19. ^ a b Aron, Jacob (September 30, 2016). "Rosetta lands on 67P in grand finale to two year comet mission". New Scientist. Retrieved 2018-03-19. ^ a b Donald Savage & Michael Buckley (January 31, 2001). "NEAR Mission Completes Main Task, Now Will Go Where No Spacecraft Has Gone Before". Press Releases. NASA. Archived from the original on 2016-06-17. Retrieved 2017-11-09. ^ a b Don Yeomans (August 11, 2005). "Hayabusa's Contributions Toward Understanding the Earth's Neighborhood". NASA/JPL Near Earth Object Program. Archived from the original on 2005-09-05. Retrieved 2017-11-07. ^ a b Emily Lakdawalla (December 14, 2012). "Chang'e 2 imaging of Toutatis". Blog. The Planetary Society. Archived from the original on 2017-07-07. Retrieved 2017-11-10. ^ a b c Stephen Clark (December 3, 2014). "Hayabusa 2 launches on audacious asteroid adventure". Spaceflight Now. Archived from the original on 2016-07-22. Retrieved 2017-11-14. ^ a b c d Wall, Mike (September 9, 2016). "'Exactly Perfect'! NASA Hails Asteroid Sample-Return Mission's Launch". Space.com. Archived from the original on 2017-10-26. Retrieved 2017-11-14. ^ a b c d e f g h i j Morbidelli, Alessandro; Bottke Jr., William F.; Froeschlé, Christiane; Michel, Patrick (January 2002). W. F. Bottke Jr.; A. Cellino; P. Paolicchi; R. P. Binzel (eds.). "Origin and Evolution of Near-Earth Objects" (PDF). Asteroids III: 409–422. Bibcode:2002aste.book..409M. Archived (PDF) from the original on 2017-08-09. Retrieved 2017-11-09. ^ Waszczak, Adam; Prince, Thomas A.; Laher, Russ; Masci, Frank; Bue, Brian; Rebbapragada, Umaa; Barlow, Tom; Jason Surace; Helou, George (2017). "Small Near-Earth Asteroids in the Palomar Transient Factory Survey: A Real-Time Streak-detection System". Publications of the Astronomical Society of the Pacific. 129 (973): 034402. arXiv:1609.08018. doi:10.1088/1538-3873/129/973/034402. ISSN 1538-3873. ^ "The NEO Confirmation Page". IAU/MPC. Retrieved 2017-11-09. ^ a b "List Of The Potentially Hazardous Asteroids (PHAs)". IAU/MPC. Retrieved 2018-01-19. ^ a b c "Discovery Statistics. Introduction". NASA/JPL CNEOS. January 5, 2018. Archived from the original on 2018-02-06. Retrieved 2018-02-08. ^ a b c "JPL Small-Body Database Search Engine. Constraints: asteroids and NEOs". JPL Small-Body Database. March 8, 2018. Archived from the original on 2018-03-09. Retrieved 2018-03-09. ^ "NEO Earth Close Approaches". NASA/JPL CNEOS. Archived from the original on 2017-10-19. Retrieved 2017-11-09. 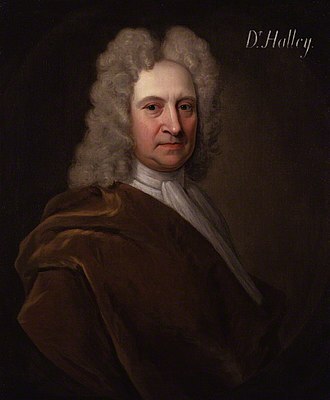 ^ Halley, Edmund (1705). A synopsis of the astronomy of comets. London: John Senex. Archived from the original on 2017-12-01. ^ Stoyan, Ronald (2015). Atlas of Great Comets. Cambridge: Cambridge University Press. pp. 101–103. ISBN 978-1-107-09349-2. Archived from the original on 2018-03-01. ^ Scholl, Hans; Schmadel, Lutz D. (2002). "Discovery Circumstances of the First Near-Earth Asteroid (433) Eros". Acta Historica Astronomiae. 15: 210–220. Bibcode:2002AcHA...15..210S. ^ "Eros comes on stage, finally a useful asteroid". Johns Hopkins University Applied Physics Laboratory. Retrieved 2017-11-14. ^ Ye, Quan-Zhi; Wiegert, Paul A.; Hui, Man-To (2018-03-21). "Finding Long Lost Lexell's Comet: The Fate of the First Discovered Near-Earth Object". The Astronomical Journal. 155 (4): 163. arXiv:1802.08904. doi:10.3847/1538-3881/aab1f6. ISSN 1538-3881. 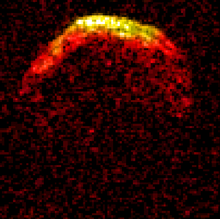 ^ a b "Radar observations of long-lost asteroid 1937 UB (Hermes)". Cornell University, Arecibo Observatory. Archived from the original on 2017-05-24. Retrieved 2017-11-14. ^ a b c Brian G. Marsden (March 29, 1998). "How the Asteroid Story Hit: An Astronomer Reveals How a Discovery Spun Out of Control". Boston Globe. Archived from the original on March 15, 2012. Retrieved 2017-11-14. ^ "1566 Icarus (1949 MA). Close-Approach Data". NASA/JPL. June 13, 2017. Archived from the original on 2018-03-01. Retrieved 2017-11-10. ^ Pettengill, G. H.; Shapiro, I. I.; Ash, M. E.; Ingalls, R. P.; Rainville, L. P.; Smith, W. B.; et al. (May 1969). "Radar observations of Icarus". Icarus. 10 (3): 432–435. Bibcode:1969Icar...10..432P. doi:10.1016/0019-1035(69)90101-8. ISSN 0019-1035. ^ Goldstein, R. M. (November 1968). "Radar Observations of Icarus". Science. 162 (3856): 903–904(SciHomepage). Bibcode:1968Sci...162..903G. doi:10.1126/science.162.3856.903. PMID 17769079. ^ Dwayne A. Day (July 5, 2004). "Giant bombs on giant rockets: Project Icarus". The Space Review. Archived from the original on 2016-04-15. Retrieved 2017-11-14. ^ "MIT Course precept for movie" (PDF). The Tech. MIT. October 30, 1979. Archived (PDF) from the original on 2014-08-11. Retrieved 2017-11-15. ^ Warren E. Leary (April 20, 1989). "Big Asteroid Passes Near Earth Unseen In a Rare Close Call". The New York Times. Archived from the original on 2017-11-09. Retrieved 2017-11-14. ^ Stuart Clark (December 20, 2012). "Apocalypse postponed: how Earth survived Halley's comet in 1910". The Guardian. Archived from the original on 2017-12-22. Retrieved 2017-11-18. ^ Jason Colavito. "Noah's Comet. Edmond Halley 1694". Archived from the original on 2017-10-01. Retrieved 2017-11-16. ^ a b c d e Clark R. Chapman (October 7, 1998). "History of The Asteroid/Comet Impact Hazard". Southwest Research Institute. Retrieved 2018-03-18. ^ Molloy, Mark (September 22, 2017). "Nibiru: How the nonsense Planet X Armageddon and Nasa fake news theories spread globally". The Daily Telegraph. Retrieved 2018-03-18. ^ a b c "Torino Impact Hazard Scale". NASA/JPL CNEOS. Retrieved 2017-11-09. ^ a b c "Palermo Technical Impact Hazard Scale". NASA/JPL CNEOS. Archived from the original on 2017-11-14. Retrieved 2017-11-09. ^ P. Brown; et al. (November 2002). "The flux of small near-Earth objects colliding with the Earth". Nature. 420 (6913): 294–296. Bibcode:2002Natur.420..294B. doi:10.1038/nature01238. PMID 12447433. ^ David Chandler (May 2, 2006). "Big new asteroid has slim chance of hitting Earth". New Scientist. Archived from the original on 2015-05-31. Retrieved 2017-11-10. ^ Andrea Milani; Giovanni Valsecchi; Maria Eugenia Sansaturio (March 12, 2002). "The problem with 2002 CU11". Tumbling Stone. 12. NEODyS. Archived from the original on 2016-03-04. Retrieved 2018-01-29. ^ a b "Date/Time Removed". NASA/JPL CNEOS. Archived from the original on 2017-10-17. Retrieved 2018-02-26. ^ "163132 (2002 CU11). Close-Approach Data". NASA/JPL. April 6, 2017. Retrieved 2018-01-29. ^ a b "The IAU and Near Earth Objects". February 2010. Retrieved May 14, 2018. ^ "Asteroid 1950 DA". NASA/JPL CNEOS. Retrieved 2017-11-09. ^ Giorgini, J. D.; Ostro, S. J.; Benner, L. A. M.; Chodas, P. W.; Chesley, S. R.; Hudson, R. S.; Nolan, M. C.; Klemola, A. R.; et al. (April 5, 2002). "Asteroid 1950 DA's Encounter with Earth in 2880: Physical Limits of Collision Probability Prediction" (PDF). Science. 296 (5565): 132–136. Bibcode:2002Sci...296..132G. doi:10.1126/science.1068191. PMID 11935024. Retrieved 2017-11-09. ^ Farnocchia, Davide; Chesley, Steven R. (2013). "Assessment of the 2880 impact threat from asteroid (29075) 1950 DA". Icarus. 229: 321–327. arXiv:1310.0861. Bibcode:2014Icar..229..321F. doi:10.1016/j.icarus.2013.09.022. ^ David Morrison (March 1, 2006). "Asteroid 2004 VD17 classed as Torino Scale 2". Asteroid and Comet Impact Hazards. NASA. Archived from the original on 2011-10-14. Retrieved 2017-11-10. ^ Deen, Sam. "2022 recovery of 2010 RF12?". Yahoo groups - Minor Planet Mailing List. Retrieved 19 October 2017. ^ a b c Vulcano Workshop. Beginning the Spaceguard Survey. Vulcano, Italy: IAU. September 1995. Retrieved 2018-03-13. ^ a b Clark R. Chapman (May 21, 1998). "Statement on The Threat of Impact by Near-Earth Asteroids before the Subcommittee on Space and Aeronautics of the Committee on Science of the U.S. House of Representatives at its hearings on "Asteroids: Perils and Opportunities"". Southwest Research Institute. Retrieved 2018-03-06. ^ a b Shiga, David (June 27, 2006). "New telescope will hunt dangerous asteroids". New Scientist. Archived from the original on 2015-06-26. Retrieved 2018-03-06. ^ a b A. Mainzer; T. Grav; J. Bauer; et al. (December 20, 2011). "NEOWISE Observations of Near-Earth Objects: Preliminary Results". The Astrophysical Journal. 743 (2): 156. arXiv:1109.6400. Bibcode:2011ApJ...743..156M. doi:10.1088/0004-637X/743/2/156. ^ a b Matt Williams (October 20, 2017). "Good News Everyone! There are Fewer Deadly Undiscovered Asteroids than we Thought". Universe Today. Archived from the original on 2017-11-04. Retrieved 2017-11-14. ^ "Planetary Defense Coordination Office". NASA. Retrieved 2018-03-09. ^ U.S.Congress (March 19, 2013). "Threats From Space: a Review of U.S. Government Efforts to Track and mitigate Asteroids and Meteors (Part I and Part II) – Hearing Before the Committee on Science, Space, and Technology House of Representatives One Hundred Thirteenth Congress First Session" (PDF). United States Congress. p. 147. Archived (PDF) from the original on 2017-03-10. Retrieved 2017-11-09. ^ University of Hawaii at Manoa's Institute for Astronomy (February 18, 2013). "ATLAS: The Asteroid Terrestrial-impact Last Alert System". Astronomy Magazine. Archived from the original on 2017-08-02. Retrieved 2017-11-18. ^ Kulkarni, S.R. ; et al. (February 7, 2018). "The Zwicky Transient Facility (ZTF) begins". The Astronomer's Telegram (11266). Archived from the original on February 9, 2018. Retrieved 2018-02-08. ^ Ye, Quan-Zhi; et al. (February 8, 2018). "First Discovery of a Small Near Earth Asteroid with ZTF (2018 CL)". The Astronomer's Telegram (11274). Archived from the original on February 9, 2018. Retrieved 2018-02-08. ^ a b c d e "Discovering Asteroids and NEOs by Telescopes". www.permanent.com. Retrieved 2018-11-16. ^ a b Browne, Malcolm W. "Mathematicians Say Asteroid May Hit Earth in a Million Years". Retrieved 2018-11-16. ^ "NEO Earth Close Approach data". NASA JPL. NASA. Retrieved 7 July 2018. ^ A. Morbidelli; D. Vokrouhlický (May 2003). "The Yarkovsky-driven origin of near-Earth asteroids". Icarus. 163 (1): 120–134. Bibcode:2003Icar..163..120M. CiteSeerX 10.1.1.603.7624. doi:10.1016/S0019-1035(03)00047-2. ^ D.F. Lupishko & T.A. Lupishko (May 2001). "On the Origins of Earth-Approaching Asteroids". Solar System Research. 35 (3): 227–233. Bibcode:2001SoSyR..35..227L. doi:10.1023/A:1010431023010. ^ D.F. Lupishko; M. di Martino & T.A. Lupishko (September 2000). "What the physical properties of near-Earth asteroids tell us about sources of their origin?". Kinematika I Fizika Nebesnykh Tel Supplimen. 3 (3): 213–216. Bibcode:2000KFNTS...3..213L. ^ "Asteroids with Satellites". Johnston's Archive. Retrieved 2018-03-17. ^ Lance Benner; Shantanu Naidu; Marina Brozovic; Paul Chodas (September 1, 2017). "Radar Reveals Two Moons Orbiting Asteroid Florence". News. NASA/JPL CNEOS. Archived from the original on 2017-09-03. Retrieved 2018-01-19. ^ Chang, Kenneth (May 23, 2016). "How Big Are Those Killer Asteroids? A Critic Says NASA Doesn't Know". The New York Times. Archived from the original on 2017-08-28. Retrieved 2017-11-09. ^ a b Myhrvold, Nathan (May 23, 2016). "Asteroid thermal modeling in the presence of reflected sunlight with an application to WISE/NEOWISE observational data". Icarus. 303: 91–113. arXiv:1605.06490. doi:10.1016/j.icarus.2017.12.024. ^ Billings, Lee (May 27, 2016). "For Asteroid-Hunting Astronomers, Nathan Myhrvold Says the Sky Is Falling". Scientific American. Archived from the original on 2017-08-29. Retrieved 2017-11-09. ^ NASA Content Administrator (May 25, 2016). "NASA Response to Recent Paper on NEOWISE Asteroid Size Results". News. NASA. Archived from the original on 2016-11-11. Retrieved 2017-11-10. ^ Phil Plait (May 27, 2016). "A Physics Outsider Says NASA Asteroid Scientists Are All Wrong. Is He Right? (Spoiler: No)". Slate. Archived from the original on 2017-08-14. Retrieved 2017-11-09. ^ Myhrvold, Nathan (May 22, 2018). "An empirical examination of WISE/NEOWISE asteroid analysis and results". Icarus. 314: 64–97. Bibcode:2018Icar..314...64M. doi:10.1016/j.icarus.2018.05.004. ^ Chang, Kenneth (June 14, 2018). "Asteroids and Adversaries: Challenging What NASA Knows About Space Rocks - Two years ago, NASA dismissed and mocked an amateur's criticisms of its asteroids database. Now Nathan Myhrvold is back, and his papers have passed peer review". The New York Times. Retrieved June 14, 2018. ^ "Asteroid Size Estimator". CNEOS NASA/JPL. Retrieved May 14, 2018. ^ "1036 Ganymed (1924 TD)". NASA/JPL. March 9, 2018. Retrieved 2018-03-09. ^ Jane Platt (January 12, 2000). "Asteroid Population Count Slashed". Press Releases. NASA/JPL. Archived from the original on 2017-05-09. Retrieved 2017-11-10. ^ David Rabinowitz; Eleanor Helin; Kenneth Lawrence & Steven Pravdo (January 13, 2000). "A reduced estimate of the number of kilometer-sized near-Earth asteroids". Nature. 403 (6766): 165–166. Bibcode:2000Natur.403..165R. doi:10.1038/35003128. PMID 10646594. ^ J. S. Stuart (November 23, 2001). "A Near-Earth Asteroid Population Estimate from the LINEAR Survey". Science. 294 (5547): 1691–1693. Bibcode:2001Sci...294.1691S. doi:10.1126/science.1065318. PMID 11721048. ^ Kelly Beatty (September 30, 2011). "WISE's Survey of Near-Earth Asteroids". Sky & Telescope. Retrieved 2018-02-08. ^ a b c Tricarico, Pasquale (March 1, 2017). "The near-Earth asteroid population from two decades of observations" (PDF). Icarus. 284: 416–423. arXiv:1604.06328. Bibcode:2017Icar..284..416T. doi:10.1016/j.icarus.2016.12.008. Retrieved 2018-03-09. ^ "Unusual Minor Planets". IAU/MPC. March 8, 2018. Retrieved 2018-03-09. ^ a b J. L. Galache (March 5, 2011). "Asteroid Classification I – Dynamics". IAU/MPC. Archived from the original on 2016-03-03. Retrieved 2018-03-09. ^ "NASA's WISE Mission Finds First Trojan Asteroid Sharing Earth's Orbit". News. NASA. July 27, 2011. Archived from the original on 2017-12-20. Retrieved 2017-11-13. ^ de la Fuente Marcos, C.; de la Fuente Marcos, R. (April 2016). "A trio of horseshoes: past, present and future dynamical evolution of Earth co-orbital asteroids 2015 XX169, 2015 YA and 2015 YQ1". Astrophysics and Space Science. 361 (4): 121–133. arXiv:1603.02415. Bibcode:2016Ap&SS.361..121D. doi:10.1007/s10509-016-2711-6. ^ Wiegert, Paul A.; Innanen, Kimmo A.; Mikkola, Seppo (June 12, 1997). "An asteroidal companion to the Earth (letter)" (PDF). Nature. 387 (6634): 685–686. doi:10.1038/42662. Archived (PDF) from the original on 2016-06-26. Retrieved 2017-11-13. ^ "Cruithne: Asteroid 3753". Western Washington University Planetarium. Archived from the original on 2012-07-09. Retrieved 2017-11-13. ^ Christou, A. A.; Asher, D. J. (July 11, 2011). "A long-lived horseshoe companion to the Earth" (PDF). Monthly Notices of the Royal Astronomical Society. 414 (4): 2965–2969. arXiv:1104.0036. Bibcode:2011MNRAS.414.2965C. doi:10.1111/j.1365-2966.2011.18595.x. Archived (PDF) from the original on 2017-08-08. Retrieved 2017-11-13. ^ a b de la Fuente Marcos, C.; de la Fuente Marcos, R. (November 11, 2016). "Asteroid (469219) (469219) 2016 HO3, the smallest and closest Earth quasi-satellite". Monthly Notices of the Royal Astronomical Society. 462 (4): 3441–3456. arXiv:1608.01518. Bibcode:2016MNRAS.462.3441D. doi:10.1093/mnras/stw1972. ^ Tony Phillips (June 9, 2006). "Corkscrew Asteroid". Science@NASA. NASA. Archived from the original on 2006-09-29. Retrieved 2017-11-13. ^ Camille M. Carlisle (December 30, 2011). "Pseudo-moons Orbit Earth". Sky & Telescope. ^ "2006 RH120 ( = 6R10DB9) (A second moon for the Earth?)". Great Shefford Observatory. September 14, 2017. Archived from the original on 2015-02-06. Retrieved 2017-11-13. ^ Roger W. Sinnott (April 17, 2007). "Earth's "Other Moon"". Sky & Telescope. Archived from the original on 2012-08-27. Retrieved 2017-11-13. ^ a b "2006 RH120. Close-Approach Data". NASA/JPL. April 6, 2017. Archived from the original on February 11, 2017. Retrieved 2017-11-13. ^ a b c d Rubin, Alan E.; Grossman, Jeffrey N. (January 2010). "Meteorite and meteoroid: New comprehensive definitions". Meteoritics & Planetary Science. 45 (1): 114–122. Bibcode:2010M&PS...45..114R. doi:10.1111/j.1945-5100.2009.01009.x. ^ Vincent Perlerin (September 26, 2017). "Definitions of terms in meteor astronomy (IAU)". News. International Meteor Organization. Archived from the original on 2018-01-23. Retrieved 2018-01-22. ^ Donald K. Yeomans (April 2007). "Great Comets in History". JPL/NASA. Archived from the original on 2017-07-06. Retrieved 2018-01-11. ^ a b Study to Determine the Feasibility of Extending the Search for Near-Earth Objects to Smaller Limiting Diameters (PDF). NASA. August 22, 2003. Retrieved 2018-03-13. ^ Jenniksens, Peter (September 2005). "Meteor Showers from Broken Comets". 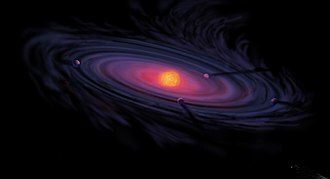 Workshop on Dust in Planetary Systems (ESA SP-643). 643: 3–6. Bibcode:2007ESASP.643....3J. ^ Kresak, L'.l (1978). "The Tunguska object – A fragment of Comet Encke". Astronomical Institutes of Czechoslovakia. 29: 129. Bibcode:1978BAICz..29..129K. ^ a b c d "Closest Approaches to the Earth by Comets". IAU/MPC. Retrieved 2018-03-09. ^ Mason, John W. (1995). "The Leonid meteors and comet 55P/Tempel-Tuttle". Journal of the British Astronomical Association. 105 (5): 219–235. Bibcode:1995JBAA..105..219M. Retrieved 2018-01-19. ^ Sekanina, Zdenek; Chodas, Paul W. (December 2005). "Origin of the Marsden and Kracht Groups of Sunskirting Comets. I. Association with Comet 96P/Machholz and Its Interplanetary Complex" (PDF). The Astrophysical Journal Supplement Series. 151 (2): 551–586. Bibcode:2005ApJS..161..551S. doi:10.1086/497374. Retrieved 2018-01-11. ^ "P/1999 J6 (SOHO). Close-Approach Data". NASA/JPL. May 7, 2012. Retrieved 2017-11-10. ^ Sally Stephens (1993). "What about the comet that's supposed to hit the Earth in 130 years?". Cosmic Collisions. Astronomical Society of the Pacific. Archived from the original on 2017-08-24. Retrieved 2017-11-14. ^ Chesley, Steve; Chodas, Paul (October 9, 2002). "J002E3: An Update". News. NASA. Archived from the original on 2003-05-03. Retrieved 2017-11-14. ^ a b c d e Azriel, Merryl (September 25, 2013). "Rocket or Rock? NEO Confusion Abounds". Space Safety Magazine. Archived from the original on 2017-11-15. Retrieved 2017-11-14. ^ "Unknown object: 2013 QW1". Minor Planet Center. Retrieved 2019-04-19. ^ Justin Mullins (November 13, 2007). "Astronomers defend asteroid warning mix-up". New Scientist. Archived from the original on 2017-03-07. Retrieved 2017-11-14. ^ "MPEC 2015-H125: Deletion Of 2015 HP116". Minor Planet Electronic Circular. April 27, 2015. Retrieved 2017-11-14. ^ Clark R. Chapman & David Morrison (January 6, 1994). 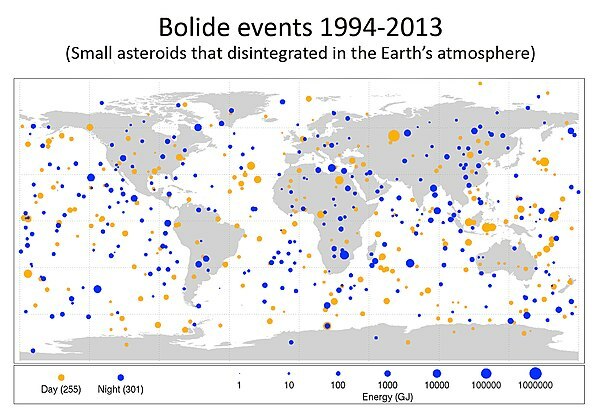 "Impacts on the Earth by asteroids and comets: assessing the hazard". Nature. 367 (6458): 33–40. Bibcode:1994Natur.367...33C. doi:10.1038/367033a0. ^ Collins, Gareth S.; Melosh, H. Jay; Marcus, Robert A. (June 2005). "Earth Impact Effects Program: A Web-based computer program for calculating the regional environmental consequences of a meteoroid impact on Earth" (PDF). Meteoritics & Planetary Science. 40 (6): 817–840. Bibcode:2005M&PS...40..817C. doi:10.1111/j.1945-5100.2005.tb00157.x. Retrieved 2018-03-19. ^ a b c Asher, D. J.; Bailey, M.; Emel'Yanenko, V.; Napier, W. (2005). 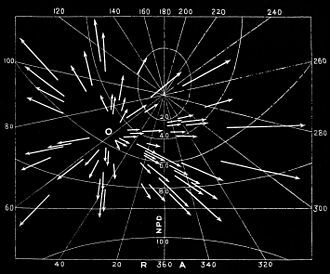 "Earth in the Cosmic Shooting Gallery" (PDF). The Observatory. 125 (2): 319–322. Bibcode:2005Obs...125..319A. Archived (PDF) from the original on 2015-07-25. Retrieved 2018-03-19. ^ a b David, Leonard (October 7, 2013). "Russian Fireball Explosion Shows Meteor Risk Greater Than Thought". Space.com. Archived from the original on 2017-08-19. Retrieved 2017-11-14. ^ de la Fuente Marcos, C.; de la Fuente Marcos, R. (September 1, 2014). "Reconstructing the Chelyabinsk event: pre-impact orbital evolution". Monthly Notices of the Royal Astronomical Society: Letters. 443 (1): L39–L43. arXiv:1405.7202. Bibcode:2014MNRAS.443L..39D. doi:10.1093/mnrasl/slu078. Archived from the original on 2015-01-02. Retrieved 2017-11-14. ^ Roylance, Frank (October 7, 2008). "Predicted meteor may have been sighted". Maryland Weather. Archived from the original on 2008-10-10. Retrieved 2017-11-09. ^ Shaddad, Muawia H.; et al. (October 2010). "The recovery of asteroid 2008 TC3" (PDF). Meteoritics & Planetary Science. 45 (10–11): 1557–1589. Bibcode:2010M&PS...45.1557S. doi:10.1111/j.1945-5100.2010.01116.x. Archived (PDF) from the original on 2016-03-04. Retrieved 2018-01-19. ^ Beatty, Kelly (January 2, 2014). "Small Asteroid 2014 AA Hits Earth". Sky & Telescope. Retrieved 2017-11-14. ^ "JPL - Fireball and bolide reports". Jet Propulsion Laboratory. NASA. Retrieved 22 August 2018. ^ a b "About Lunar Impact Monitoring". NASA. August 4, 2017. Archived from the original on 2017-07-13. Retrieved 2018-01-22. ^ Rubio, Luis R. Bellot; Ortiz, Jose L.; Sada, Pedro V. (2000). "Observation and Interpretation of Meteoroid Impact Flashes on the Moon". In Jenniskens, P.; Rietmeijer, F.; Brosch, N.; Fonda, M. (eds.). Leonid Storm Research. Leonid Storm Research. Dordrecht: Springer. pp. 575–598. doi:10.1007/978-94-017-2071-7_42. ISBN 978-90-481-5624-5. ^ a b Robert Massey; José Maria Madiedo (February 24, 2014). "Astronomers spot record-breaking lunar impact". News. Royal Astronomical Society. Archived from the original on 2018-01-22. Retrieved 2018-01-22. ^ "About. Project". ESA/NELIOTA. Retrieved 2018-01-22. ^ a b "Closest Approaches to the Earth by Minor Planets". IAU/MPC. Retrieved 2018-03-09. ^ "Grand Teton Meteor Video". YouTube. Archived from the original on 2017-02-14. Retrieved 2017-11-09. 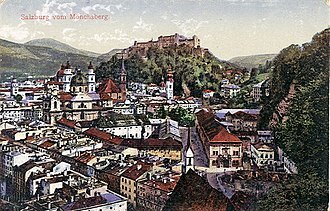 ^ Borovička, J.; Ceplecha, Z. (April 1992). "Earth-grazing fireball of October 13, 1990". Astronomy and Astrophysics. 257 (1): 323–328. Bibcode:1992A&A...257..323B. ISSN 0004-6361. Retrieved 2017-11-09. ^ Steven R. Chesley & Paul W. Chodas (March 17, 2004). "Recently Discovered Near-Earth Asteroid Makes Record-breaking Approach to Earth". News. NASA/JPL CNEOS. Retrieved 2017-11-09. ^ W. A. Allen (August 22, 2004). "Closest by far". The Asteroid/Comet Connection. Archived from the original on 2016-11-05. Retrieved 2017-11-10. ^ Don Yeomans & Paul Chodas (February 4, 2011). "Very Small Asteroid Makes Close Earth Approach on February 4, 2011". News. NASA/JPL Near-Earth Object Program Office. Archived from the original on 2011-09-02. Retrieved 2017-11-09. ^ "308635 (2005 YU55). Close-Approach Data". NASA/JPL. September 11, 2017. Archived from the original on February 1, 2012. Retrieved 2017-11-10. ^ Jason Palmer (February 15, 2013). "Asteroid 2012 DA14 in record-breaking Earth pass". BBC News. Archived from the original on 2018-02-17. Retrieved 2018-01-29. ^ Paul Chodas; Jon Giorgini & Don Yeomans (March 6, 2012). 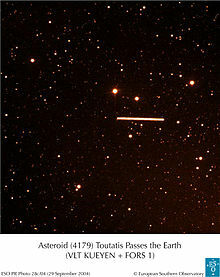 "Near-Earth Asteroid 2012 DA14 to Miss Earth on February 15, 2013". News. NASA/JPL CNEOS. Archived from the original on 2017-12-22. Retrieved 2018-01-29. ^ Rui Xu; Pingyuan Cui; Dong Qiao & Enjie Luan (March 18, 2007). "Design and optimization of trajectory to Near-Earth asteroid for sample return mission using gravity assists". Advances in Space Research. 40 (2): 200–225. Bibcode:2007AdSpR..40..220X. doi:10.1016/j.asr.2007.03.025. ^ Morton, Erin; Neal-Jones, Nancy (February 9, 2017). "NASA's OSIRIS-REx Begins Earth-Trojan Asteroid Search". News. NASA. Archived from the original on 2018-07-07. Retrieved 2017-11-14. ^ Kelly Beatty (April 24, 2012). "Asteroid Mining for Fun and Profit". Sky & Telescope. Retrieved 2017-11-18. ^ a b Alan Boyle (November 13, 2017). "Planetary Resources' Arkyd-6 prototype imaging satellite has left the building". GeekWire. Archived from the original on November 14, 2017. Retrieved 2017-11-18. ^ "Planetary Resources Launches Latest Spacecraft in Advance of Space Resource Exploration Mission". News. Planetary Resources. January 12, 2018. Archived from the original on January 13, 2018. Retrieved 2018-01-13. Wikimedia Commons has media related to Near-Earth objects. Each arrow (→) may be read as "within" or "part of". 433 Eros is an S-type near-Earth asteroid approximately 34. 4×11. 2×11.2 kilometres in size, the second-largest near-Earth asteroid after 1036 Ganymed. It was discovered in 1898 and was the first near-Earth asteroid discovered and it was the first asteroid orbited by an Earth probe. It belongs to the Amor group, Eros is a Mars-crosser asteroid, the first known to come within the orbit of Mars. Objects in such an orbit can remain there for only a few hundred years before the orbit is perturbed by gravitational interactions. It is a potential Earth impactor, about five times larger than the impactor that created Chicxulub crater, the NEAR Shoemaker probe visited Eros twice, first with a 1998 flyby, and by orbiting it in 2000 when it extensively photographed its surface. On February 12,2001, at the end of its mission, Eros was discovered on 13 August 1898 by Gustav Witt in Berlin and Auguste Charlois at Nice. 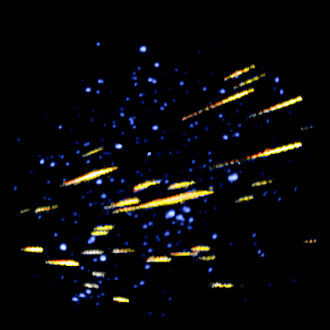 Witt was taking a 2-hour exposure of Beta Aquarii to secure astrometric positions of asteroid 185 Eunike, a similar program was carried out, during a closer approach, in 1930–1931 by Harold Spencer Jones. The value obtained by this program was considered definitive until 1968, Eros was the first asteroid detected by the Arecibo Observatorys radar system. Eros was one of the first asteroids visited by a spacecraft, the first one orbited, NASA spacecraft NEAR Shoemaker entered orbit around Eros in 2000, and landed in 2001. Eros is named after the Greek god of love, Erōs and it is pronounced /ˈɪərɒs/ EER-os or sometimes /ˈɛrɒs/ ERR-os. The rarely used form of the name is Erotian /ᵻˈroʊʃən/. Surface gravity depends on the distance from a spot on the surface to the center of a bodys mass, eross surface gravity varies greatly because Eros is not a sphere but an elongated peanut-shaped object. The daytime temperature on Eros can reach about 100 °C at perihelion, nighttime measurements fall near −150 °C. Eross density is 2.67 g/cm3, about the same as the density of Earths crust and it rotates once every 5.27 hours. NEAR scientists have found that most of the larger rocks strewn across Eros were ejected from a crater in an impact approximately 1 billion years ago. Deep Impact was a NASA space probe launched from Cape Canaveral Air Force Station at 18,47 UTC on January 12,2005. It was designed to study the composition of the comet Tempel 1. At 05,52 UTC on July 4,2005, the impactor successfully collided with the comets nucleus, the impact excavated debris from the interior of the nucleus, forming an impact crater. Photographs taken by the spacecraft showed the comet to be more dusty, the impact generated an unexpectedly large and bright dust cloud, obscuring the view of the impact crater. 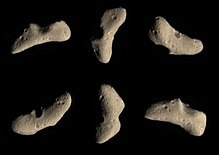 Previous space missions to comets, such as Giotto and Stardust, were fly-by missions and these missions were able to photograph and examine only the surfaces of cometary nuclei, and even from considerable distances. 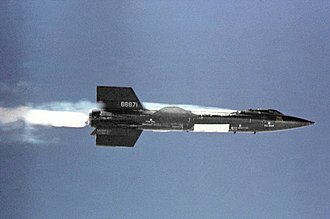 The Deep Impact mission was the first to eject material from a surface, and the mission garnered large publicity from the media, international scientists. Upon the completion of its mission, proposals were made to further utilize the spacecraft. Consequently, Deep Impact flew by Earth on December 31,2007 on its way to a mission, designated EPOXI, with a dual purpose to study extrasolar planets. 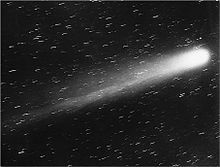 By observing the composition of the comet, astronomers hoped to determine how comets form based on the differences between the interior and exterior makeup of the comet, observations of the impact and its aftermath would allow astronomers to attempt to determine the answers to these questions. The missions Principal Investigator was Michael AHearn, an astronomer at the University of Maryland, the Flyby spacecraft is about 3.2 meters long,1.7 meters wide and 2.3 meters high. It includes two panels, a debris shield, and several science instruments for imaging, infrared spectroscopy. The spacecraft carried two cameras, the High Resolution Imager, and the Medium Resolution Imager.05 to 4.8 micrometres and it has been optimized for observing the comets nucleus. The MRI is the device, and was used primarily for navigation during the final 10-day approach. It has a wheel, with a slightly different set of filters. The Impactor section of the spacecraft contains an instrument that is identical to the MRI, called the Impactor Targeting Sensor. A meteoroid is a small rocky or metallic body in outer space. Meteoroids are significantly smaller than asteroids, and range in size from small grains to 1 meter-wide objects, objects smaller than this are classified as micrometeoroids or space dust. Most are fragments from comets or asteroids, whereas others are collision impact debris ejected from bodies such as the Moon or Mars and this phenomenon is called a meteor or shooting star. A series of many meteors appearing seconds or minutes apart and appearing to originate from the fixed point in the sky is called a meteor shower. If that object withstands ablation from its passage through the atmosphere as a meteor and impacts with the ground, an estimated 15,000 tonnes of meteoroids and different forms of space dust enter Earths atmosphere each year. In 1995, Beech and Steel, writing in the Quarterly Journal of the Royal Astronomical Society, according to Rubin and Grossman, the minimum size of an asteroid is given by what can be discovered from Earth-bound telescopes, so the distinction between meteoroid and asteroid is fuzzy. Some of the smallest asteroids discovered are 2008 TS26 with H =33.2 and 2011 CQ1 with H =32.1 both with a size of 1 meter. Objects smaller than meteoroids are classified as micrometeoroids and cosmic dust, the Minor Planet Center does not use the term meteoroid. Almost all meteoroids contain extraterrestrial nickel and iron and they have three main classifications, iron and stony-iron. Some stone meteoroids contain grain-like inclusions known as chondrules and are called chondrites, stoney meteoroids without these features are called achondrites, which are typically formed from extraterrestrial igneous activity, they contain little or no extraterrestrial iron. The composition of meteoroids can be inferred as they pass through Earths atmosphere from their trajectories and their effects on radio signals give information, especially useful for daytime meteors, which are otherwise very difficult to observe. From these trajectory measurements, meteoroids have been found to have many different orbits, some clustering in streams associated with a parent comet. Halleys Comet or Comet Halley, officially designated 1P/Halley, is a short-period comet visible from Earth every 75–76 years. Halley is the only known short-period comet that is visible to the naked eye from Earth. Halley last appeared in the parts of the Solar System in 1986. 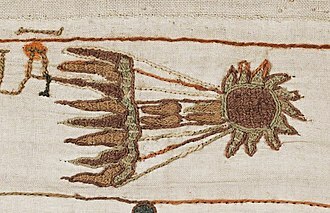 Halleys returns to the inner Solar System have been observed and recorded by astronomers since at least 240 BC, clear records of the comets appearances were made by Chinese and medieval European chroniclers, but were not recognized as reappearances of the same object at the time. 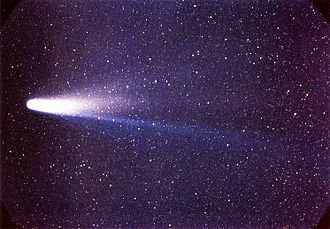 The comets periodicity was first determined in 1705 by English astronomer Edmond Halley, Comet Halley is commonly pronounced /ˈhæli/, rhyming with valley, or /ˈheɪli/, rhyming with daily. 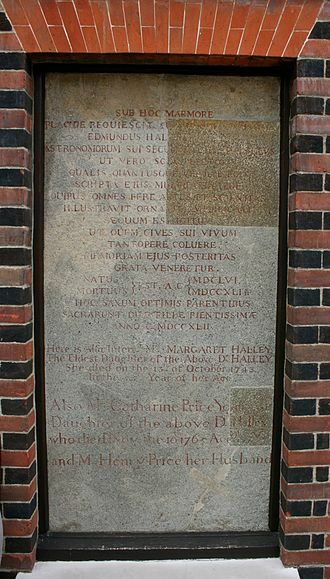 Spellings of Edmond Halleys name during his lifetime included Hailey, Hayley, Hawley, Halley was the first comet to be recognized as periodic. Until the Renaissance, the consensus on the nature of comets. This idea was disproved in 1577 by Tycho Brahe, who used parallax measurements to show that comets must lie beyond the Moon, many were still unconvinced that comets orbited the Sun, and assumed instead that they must follow straight paths through the Solar System. In 1687, Sir Isaac Newton published his Philosophiæ Naturalis Principia Mathematica, in which he outlined his laws of gravity and his work on comets was decidedly incomplete. Halley thus concluded that all three comets were, in fact, the same object returning every 76 years, a period that has since been amended to every 75–76 years. After a rough estimate of the perturbations the comet would sustain from the attraction of the planets. Halley died in 1742 before he could observe this himself, Halleys prediction of the comets return proved to be correct, although it was not seen until 25 December 1758, by Johann Georg Palitzsch, a German farmer and amateur astronomer. It did not pass through its perihelion until 13 March 1759 and this effect was computed prior to its return by a team of three French mathematicians, Alexis Clairaut, Joseph Lalande, and Nicole-Reine Lepaute. The confirmation of the return was the first time anything other than planets had been shown to orbit the Sun. It was one of the earliest successful tests of Newtonian physics, the comet was first named in Halleys honour by French astronomer Nicolas Louis de Lacaille in 1759. Radar is an object-detection system that uses radio waves to determine the range, angle, or velocity of objects. It can be used to detect aircraft, spacecraft, guided missiles, motor vehicles, weather formations, Radio waves from the transmitter reflect off the object and return to the receiver, giving information about the objects location and speed. Radar was developed secretly for military use by several nations in the period before, the term RADAR was coined in 1940 by the United States Navy as an acronym for RAdio Detection And Ranging or RAdio Direction And Ranging. The term radar has since entered English and other languages as a common noun, high tech radar systems are associated with digital signal processing, machine learning and are capable of extracting useful information from very high noise levels. Other systems similar to make use of other parts of the electromagnetic spectrum. One example is lidar, which uses ultraviolet, visible, or near infrared light from lasers rather than radio waves, as early as 1886, German physicist Heinrich Hertz showed that radio waves could be reflected from solid objects. In 1895, Alexander Popov, an instructor at the Imperial Russian Navy school in Kronstadt. 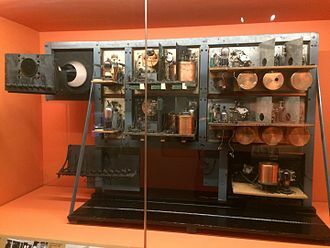 The next year, he added a spark-gap transmitter, in 1897, while testing this equipment for communicating between two ships in the Baltic Sea, he took note of an interference beat caused by the passage of a third vessel. In his report, Popov wrote that this phenomenon might be used for detecting objects, the German inventor Christian Hülsmeyer was the first to use radio waves to detect the presence of distant metallic objects. In 1904, he demonstrated the feasibility of detecting a ship in dense fog and he obtained a patent for his detection device in April 1904 and a patent for a related amendment for estimating the distance to the ship. He got a British patent on September 23,1904 for a radar system. It operated on a 50 cm wavelength and the radar signal was created via a spark-gap. In 1915, Robert Watson-Watt used radio technology to advance warning to airmen. Watson-Watt became an expert on the use of direction finding as part of his lightning experiments. The astronomical unit is a unit of length, roughly the distance from Earth to the Sun. However, that varies as Earth orbits the Sun, from a maximum to a minimum. Originally conceived as the average of Earths aphelion and perihelion, it is now defined as exactly 149597870700 metres, the astronomical unit is used primarily as a convenient yardstick for measuring distances within the Solar System or around other stars. However, it is a component in the definition of another unit of astronomical length. A variety of symbols and abbreviations have been in use for the astronomical unit. In a 1976 resolution, the International Astronomical Union used the symbol A for the astronomical unit, in 2006, the International Bureau of Weights and Measures recommended ua as the symbol for the unit. In 2012, the IAU, noting that various symbols are presently in use for the astronomical unit, in the 2014 revision of the SI Brochure, the BIPM used the unit symbol au. In ISO 80000-3, the symbol of the unit is ua. Earths orbit around the Sun is an ellipse, the semi-major axis of this ellipse is defined to be half of the straight line segment that joins the aphelion and perihelion. The centre of the sun lies on this line segment. In addition, it mapped out exactly the largest straight-line distance that Earth traverses over the course of a year, knowing Earths shift and a stars shift enabled the stars distance to be calculated. But all measurements are subject to some degree of error or uncertainty, improvements in precision have always been a key to improving astronomical understanding. Improving measurements were continually checked and cross-checked by means of our understanding of the laws of celestial mechanics, the expected positions and distances of objects at an established time are calculated from these laws, and assembled into a collection of data called an ephemeris. NASAs Jet Propulsion Laboratory provides one of several ephemeris computation services, in 1976, in order to establish a yet more precise measure for the astronomical unit, the IAU formally adopted a new definition. Asteroid mining is the exploitation of raw materials from asteroids and other minor planets, including near-Earth objects. Minerals and volatiles could be mined from an asteroid or spent comet used in space for in-situ utilization or taken back to Earth and these include phosphorus, zinc, lead, silver and copper. Today, these metals are mined from Earths crust, and they are essential for economic, the geologic history of Earth may very well set the stage for a future of asteroid mining. In 2006, the Keck Observatory announced that the binary Jupiter trojan 617 Patroclus, Jupiter-family comets, and possibly near-Earth asteroids that are extinct comets, might provide water. Although whether these cost reductions could be achieved, and if achieved would offset the enormous infrastructure investment required, is unknown, ice would satisfy one of two necessary conditions to enable human expansion into the Solar System, physical sustainability and economic sustainability. From the astrobiological perspective, asteroid prospecting could provide data for the search for extraterrestrial intelligence. Some astrophysicists have suggested that if advanced extraterrestrial civilizations employed asteroid mining long ago, why extraterrestrials would have resorted to asteroid mining in near proximity to earth, with its readily available resources, has not been explained. An important factor to consider in selection is orbital economics, in particular the change in velocity and travel time to. More of the native material must be expended as propellant in higher Δv trajectories. Near-Earth asteroids are considered candidates for early mining activity. Their low Δv makes them suitable for use in extracting construction materials for near-Earth space-based facilities, the table above shows a comparison of Δv requirements for various missions. In terms of energy requirements, a mission to a near-Earth asteroid compares favorably to alternative mining missions. An example of a target for an early asteroid mining expedition is 4660 Nereus. This body has a very low Δv compared to lifting materials from the surface of the Moon, however it would require a much longer round-trip to return the material. The International Astronomical Union is an international association of professional astronomers, at the PhD level and beyond, active in professional research and education in astronomy. Among other activities, it acts as the recognized authority for assigning designations to celestial bodies. The IAU is a member of the International Council for Science and its main objective is to promote and safeguard the science of astronomy in all its aspects through international cooperation. The IAU maintains friendly relations with organizations that include amateur astronomers in their membership, the IAU has its head office on the second floor of the Institut dAstrophysique de Paris in the 14th arrondissement of Paris. 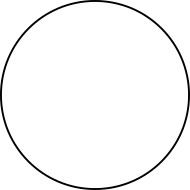 The IAU is responsible for the system of astronomical telegrams which are produced and distributed on its behalf by the Central Bureau for Astronomical Telegrams, the Minor Planet Center operates under the IAU, and is a clearinghouse for all non-planetary or non-moon bodies in the Solar System. The Working Group for Meteor Shower Nomenclature and the Meteor Data Center coordinate the nomenclature of meteor showers, the IAU was founded on July 28,1919, at the Constitutive Assembly of the International Research Council held in Brussels, Belgium. The 7 initial member states were Belgium, France, Great Britain, Japan, the first executive committee consisted of Benjamin Baillaud, Alfred Fowler, and four vice presidents, William Campbell, Frank Dyson, Georges Lecointe, and Annibale Riccò. 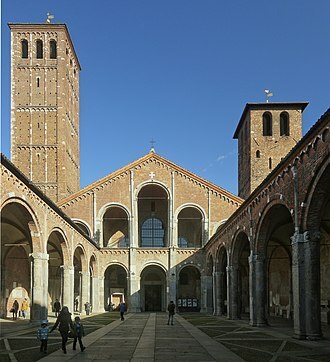 Thirty-two Commissions were appointed at the Brussels meeting and focused on topics ranging from relativity to minor planets, the reports of these 32 Commissions formed the main substance of the first General Assembly, which took place in Rome, May 2–10,1922. By the end of the first General Assembly, ten nations had joined the Union. Although the Union was officially formed eight months after the end of World War I, the first 50 years of the Unions history are well documented. Subsequent history is recorded in the form of reminiscences of past IAU Presidents, twelve of the fourteen past General Secretaries in the period 1964-2006 contributed their recollections of the Unions history in IAU Information Bulletin No.100. Six past IAU Presidents in the period 1976–2003 contributed their recollections in IAU Information Bulletin No.104, the IAU includes a total of 12,664 individual members who are professional astronomers from 96 countries worldwide. 83% of all members are male, while 17% are female, among them the unions current president. Membership includes 79 national members, professional astronomical communities representing their countrys affiliation with the IAU, the sovereign body of the IAU is its General Assembly, which comprises all members. The Assembly determines IAU policy, approves the Statutes and By-Laws of the Union, the right to vote on matters brought before the Assembly varies according to the type of business under discussion. On budget matters, votes are weighted according to the subscription levels of the national members. A second category vote requires a turnout of at least two-thirds of national members in order to be valid, an absolute majority is sufficient for approval in any vote, except for Statute revision which requires a two-thirds majority. 69230 Hermes is an Apollo, Mars- and Venus-crosser binary asteroid that passed Earth at about twice the distance of the Moon on October 30,1937. It is named after the Greek god Hermes, at the time, this was the closest known approach of an asteroid to the Earth. Not until 1989 was a closer approach observed, at closest approach, Hermes was moving 5° per hour across the sky and reached 8th magnitude. It was discovered by Karl Reinmuth in images taken at Heidelberg Observatory on October 28,1937, only four days of observations could be made before Hermes became too faint to be seen in the telescopes of the day. This was not enough to calculate an orbit, and Hermes was lost and it thus did not receive a number, but Reinmuth nevertheless named it after the Greek god Hermes. It was the only unnumbered but named asteroid, having only the provisional designation 1937 UB, on October 15,2003, Brian A. Skiff of the LONEOS project made an observation that, when the orbit was calculated backwards in time. A spacecraft is a vehicle, or machine designed to fly in outer space. Spacecraft are used for a variety of purposes, including communications, earth observation, navigation, space colonization, planetary exploration, on a sub-orbital spaceflight, a spacecraft enters space and returns to the surface, without having gone into an orbit. For orbital spaceflights, spacecraft enter closed orbits around the Earth or around other celestial bodies, robotic spacecraft used to support scientific research are space probes. Robotic spacecraft that remain in orbit around a body are artificial satellites. Only a handful of interstellar probes, such as Pioneer 10 and 11, Voyager 1 and 2, orbital spacecraft may be recoverable or not. By method of reentry to Earth they may be divided in non-winged space capsules, Sputnik 1 was the first artificial satellite. It was launched into an elliptical low Earth orbit by the Soviet Union on 4 October 1957, the launch ushered in new political, military and scientific developments, while the Sputnik launch was a single event, it marked the start of the Space Age. Apart from its value as a technological first, Sputnik 1 helped to identify the upper atmospheric layers density and it provided data on radio-signal distribution in the ionosphere. Pressurized nitrogen in the satellites false body provided the first opportunity for meteoroid detection, Sputnik 1 was launched during the International Geophysical Year from Site No. 1/5, at the 5th Tyuratam range, in Kazakh SSR. The satellite travelled at 29,000 kilometers per hour, taking 96.2 minutes to complete an orbit and this altitude is called the Kármán line. In particular, in the 1940s there were several test launches of the V-2 rocket, as of 2016, only three nations have flown manned spacecraft, USSR/Russia, USA, and China. The first manned spacecraft was Vostok 1, which carried Soviet cosmonaut Yuri Gagarin into space in 1961, there were five other manned missions which used a Vostok spacecraft. The second manned spacecraft was named Freedom 7, and it performed a sub-orbital spaceflight in 1961 carrying American astronaut Alan Shepard to an altitude of just over 187 kilometers, there were five other manned missions using Mercury spacecraft. Deep Space Network Operations Center at JPL, Pasadena (California) in 1993. 70 m antenna at Goldstone, California. Laser used for adaptive optics. It excites sodium atoms in atmosphere and creates a laser guide star. Auxiliary Telescope, the Residencia and the heart of the Milky Way. Comet 103P/Hartley closeup, from EPOXI. Artist's impression of the Deep Impact space probe after deployment of the Impactor. 243 Ida and its moon Dactyl. Dactyl is the first satellite of an asteroid to be discovered. First asteroid image (Ceres and Vesta) from Mars – viewed by Curiosity (20 April 2014). The largest asteroid in the previous image, Vesta (left), with Ceres (center) and the Moon (right) shown to scale. Artist's impression shows how an asteroid is torn apart by the strong gravity of a white dwarf. More than 100 Soviet and Russian crewed Soyuz spacecraft (TMA version shown) have flown since 1967 and now support the International Space Station. 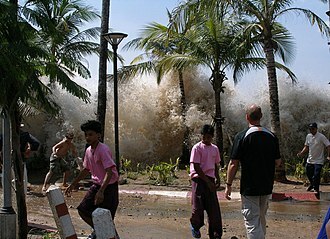 Tsunami aftermath in Aceh, Indonesia, December 2004. 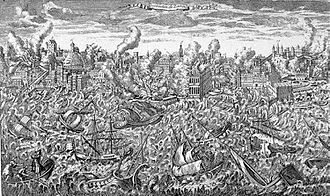 Lisbon earthquake and tsunami in November 1755. The wave further slows and amplifies as it hits land. Only the largest waves crest. Research rockets on display at JPL. 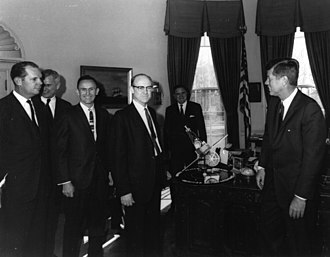 William H. Pickering, (center) JPL Director, President John F. Kennedy, (right). NASA Administrator James E. Webb (background) discussing the Mariner program, with a model presented. At launch control for the May 28, 1964, Saturn I SA-6 launch. 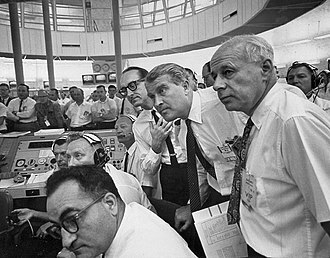 Wernher von Braun is at center. Some of NASA's first African-American astronauts including Dr. Ronald McNair, Guy Bluford and Fred Gregory from the class of 1978 selection of astronauts. 1586 portrait of Tycho Brahe framed by the family shields of his noble ancestors, by Jacques de Gheyn. An artificial nose of the kind Tycho wore. This particular example did not belong to Tycho. Orionid meteor originating from Halley's Comet striking the sky below the Milky Way and to the right of Venus. Long-range radar antenna, used to track space objects and ballistic missiles. Radar of the type used for detection of aircraft. It rotates steadily, sweeping the airspace with a narrow beam. Comet Borrelly exhibits jets, but has no surface ice. Comet 81P/Wild exhibits jets on light side and dark side, stark relief, and is dry. Hubble image of Comet ISON shortly before perihelion. Chinese expressway distances road sign in eastern Beijing. 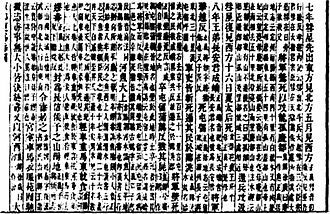 Although the primary text is in Chinese, the distances use internationally recognised characters. Contax III rangefinder camera with macro photography setting. Because the viewfinder is on top of the lens and of the close proximity of the subject, goggles are fitted in front of the rangefinder and a dedicated viewfinder installed to compensate for parallax. Failed panoramic image due to the parallax, since axis of rotation of tripod is not same of focal point. Cover picture of CAP Journal issue 19, March 2016.